Taking stock of the surroundings after getting off the bus at Croydon Airport, there are the familiar signs that suggest you have arrived at a passenger terminal. Look one way and there’s a Premier Inn, while the other a Hilton – the places that people often stay the night before they head off on a flight. But enter the Grade II listed, neo-classical terminal building and it quickly becomes apparent this is no ordinary functioning airport. Now a business centre, its doors are opened to the public just once a month, so visitors can immerse themselves in real aviation history. Croydon Aerodrome opened in 1928 as the world’s first purpose built international airport and was the place where pioneering air passengers set off on adventures all around the world. The airport also played an important role in the Second World War, but was closed in 1959 because most airlines had switched operations to the better facilities at Heathrow and elsewhere. Walking into the airy and light atrium, enthusiastic volunteers were keen to recount the story of the airport’s foundation, right back to its humble beginnings in 1915 half a mile down the road. Where a housing estate now stands, New Barn Farm was chosen as the site for an airfield – named Beddington Aerodrome – and it was used as a Home Defence squadron base during the First World War. After the hostilities were over civil flying quickly became popular, so it was decided the site needed to be expanded and Croydon Aerodrome was born. The new terminal building – depicted at the centre of a wonderful surviving scale model showing surrounding aircraft hangars – that can be visited today was opened on 2nd May 1928. Clearly a lot has changed in the entrance hall over the years, but you still get a sense of its original character. 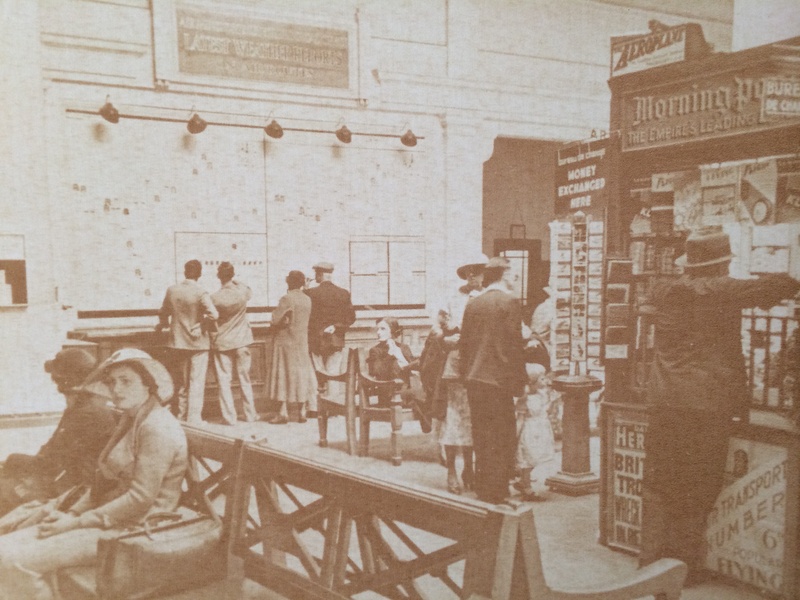 Photos on the walls show how the wooden booking counters of the original airlines that operated from Croydon – including Imperial Airways, Sabena, Air Union (later Air France) and KLM – were around the edge of this main space. 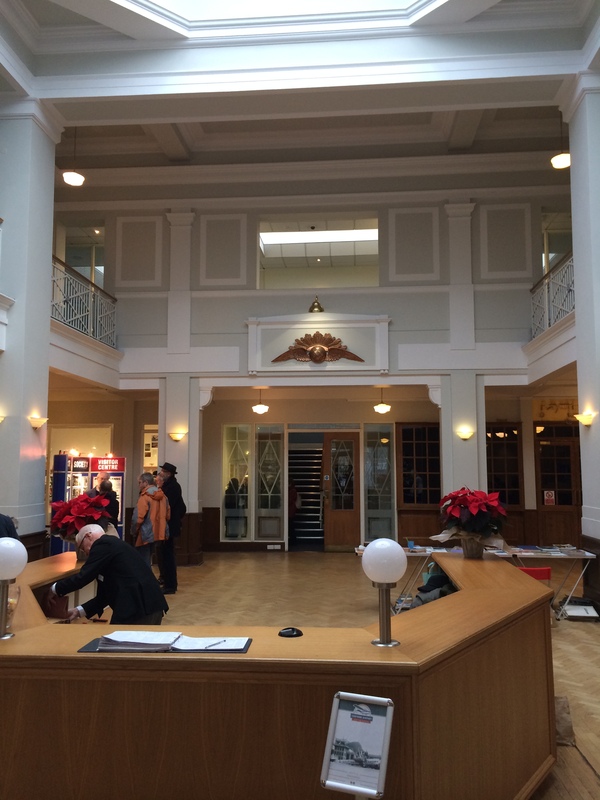 Entrance hall when it was an airport……..
……..and the entrance hall now. 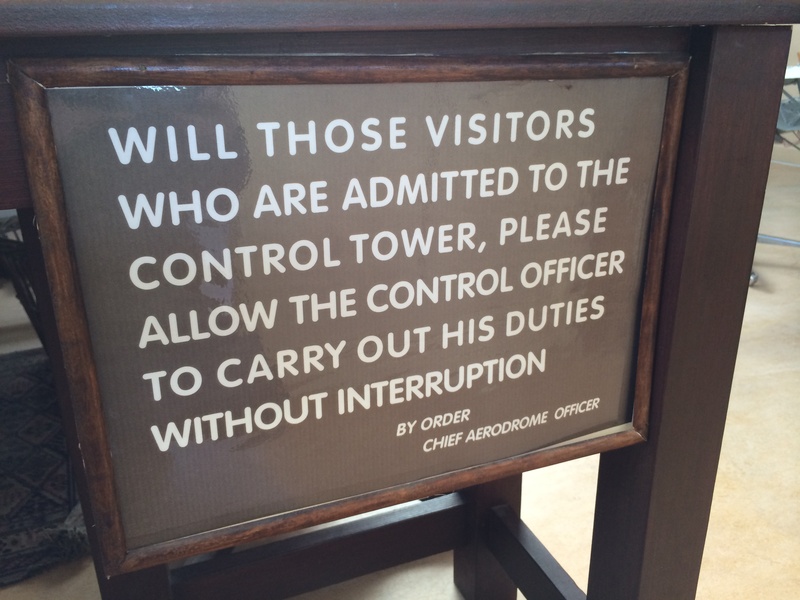 There was only one departure gate, so once passengers had bought their tickets they would have waited on benches in the centre of the entrance hall for their flight to be called. They could have had coffee (a café remains in the entrance hall), visited the post office or bought a paper at the newsstand (the markings from this remain on the floor) run by WH Smith. And there was a wooden pillar – sadly lost – with clocks showing the time in numerous world cities. Given that departures and arrivals were listed it doubled up as an early indicator boards. 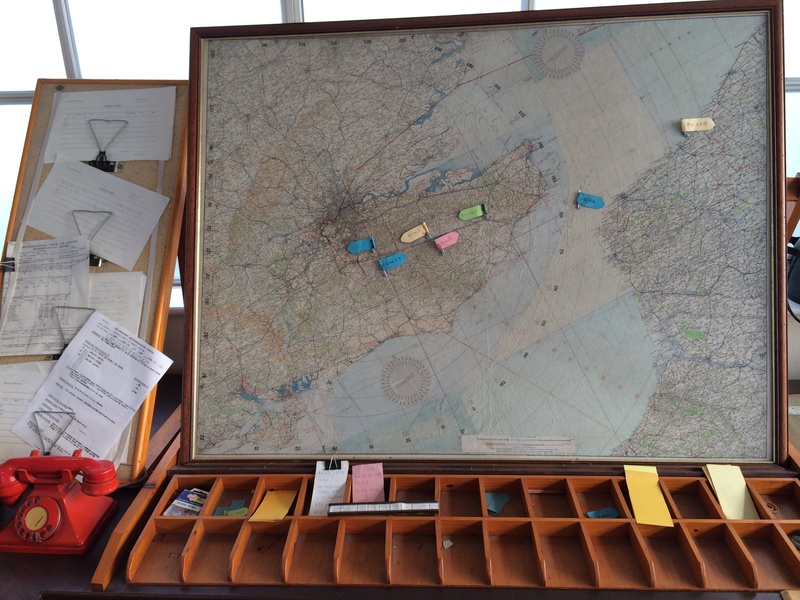 Passengers could also keep track on international weather thanks to a large map that was updated by hand every hour. Early aircraft needed to be carefully balanced and so passengers – along with freight and crew – were weighed at check in. If the flight was not correctly planned, then the plane would not get off the ground. Black and white pictures – which enthusiastic guides are more than happy to talk about at length – showing what the terminal was like line the walls of Croydon Aerodrome’s main building. 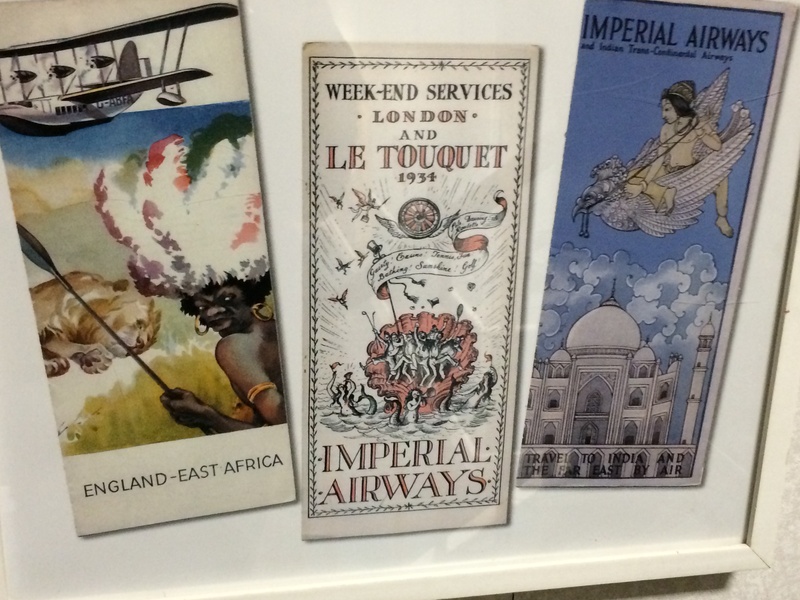 There are also numerous colourful adverts and timetables on display which provide a record of the destinations – from Europe right out to the Far East – it served. 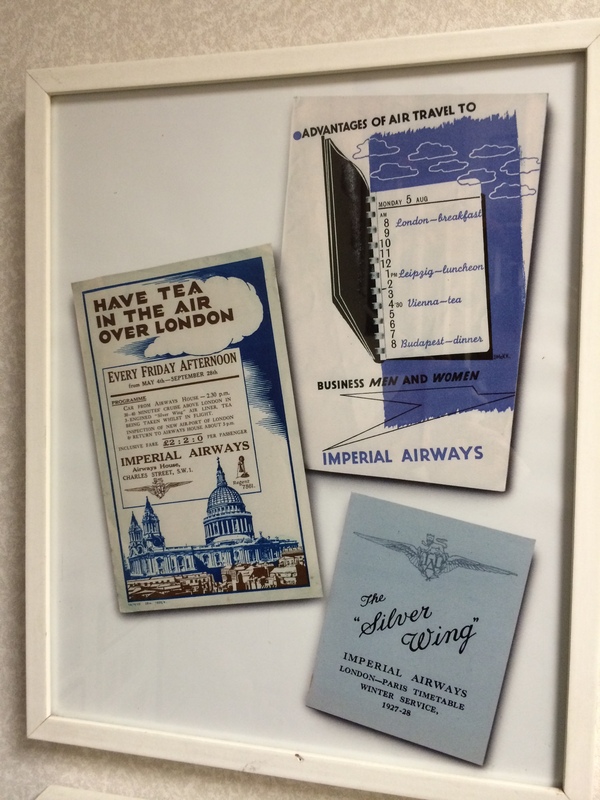 Some of this promotional material is particularly fascinating, including a poster encouraging people to take a 30 to 40 minute Imperial Airways flight and “have tea in the air over London.” Passengers would be picked up in a car from the airline’s offices in SW1 at 2:30pm and be returned at about 5pm. The flight ran every Friday during the summer months. And the chance to have an “inspection of new air-port of London” was also promoted as one of the benefits of going on the trip. There was considerable competition between the different airlines, so they all tried to outdo each other with service. It meant that five course meals, served with fine wines, and on the finest china was not uncommon. 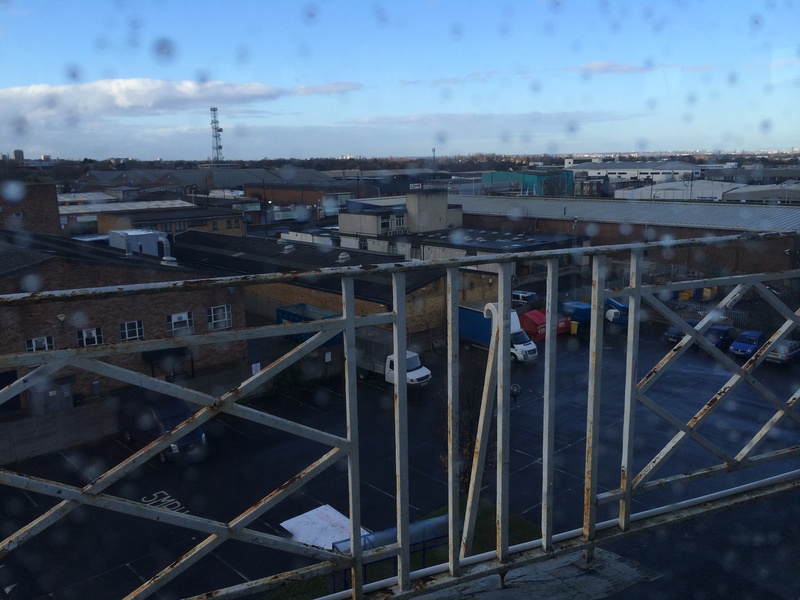 The basis for the air-traffic control system in use today was developed at Croydon. 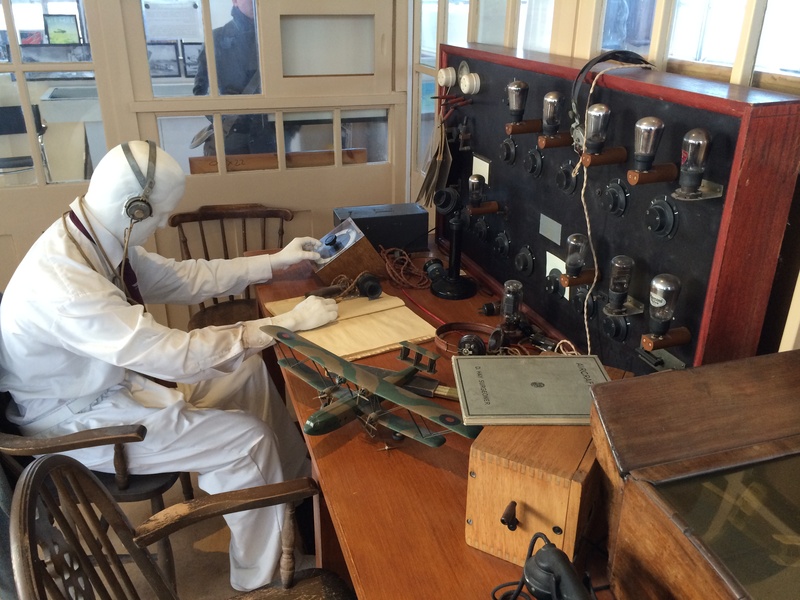 Visitors can see the pioneering Control Tower, complete with what was then state-of-the-art radio equipment, which allowed staff to communicate with pilots and help them land and take off. It was also at Croydon that the principal of giving air controllers jurisdiction of all movements in a particular section of airspace. Today, all the equipment looks very primitive – pilots were guided by little more than lights and radio signals. 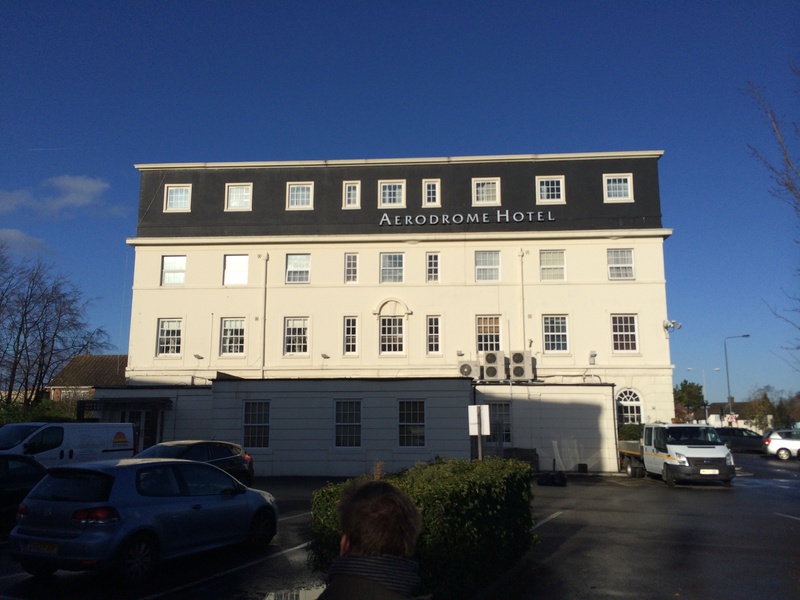 Next door to the terminal building is the Aerodrome Hotel which opened around the same time as the airport with 50 bedrooms, half of them with bathrooms. Now operated by Hallmark Hotels, it’s been extensively refurbished and once you are inside you could be in any 4* hotel. It was here that many passengers stayed the night before they set off on their travels, including Amy Johnson before her pioneering solo flight to Australia. 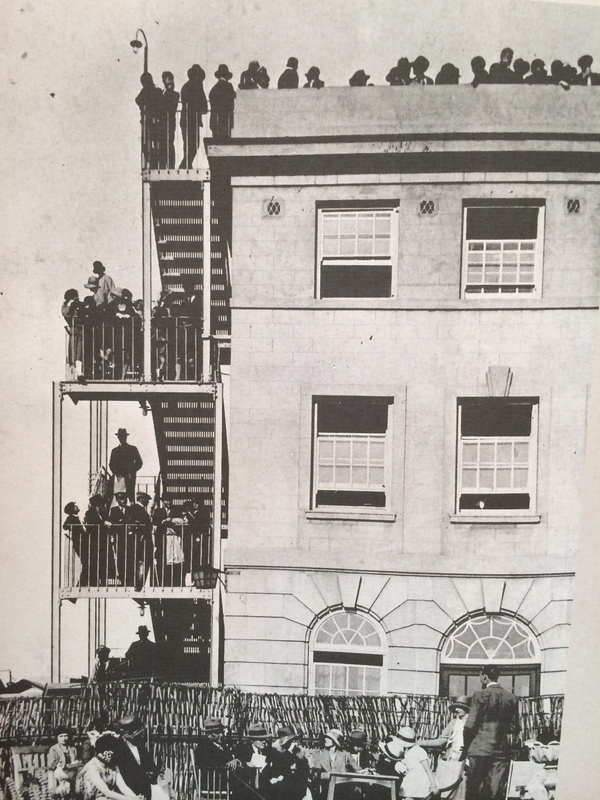 Photos show how in these early days for aviation, masses of spectators lined steps outside the hotel – and the roof of the terminal itself – to watch so many of their heroes set off on their adventures. Aside from Johnson, legends who visited Croydon included Charles Lindbergh, who flew into the airport in 1927 shortly after completing the first solo trans-Atlantic flight. World War Two halted passenger services as the civil airlines moved out and the aerodrome became known as RAF Croydon, forming part of 11 Group, Fighter Command. The airfield – and the factories surrounding it – became a prime target and during a devastating Luftwaffe attack on 15th August 1940 62 people were killed and more than 200 were injured. In 1943, RAF Croydon played a key role in the war effort as it was used for dispatching thousands of troops into Europe. Croydon once again welcomed passenger planes after the war was over but Heathrow now took up the mantle of London’s main international airport. While it continued to operate as a regional airport for some time, other airfields around the capital offered more space – essential as airliners became larger – and better facilities. Croydon never updated its grass runways. 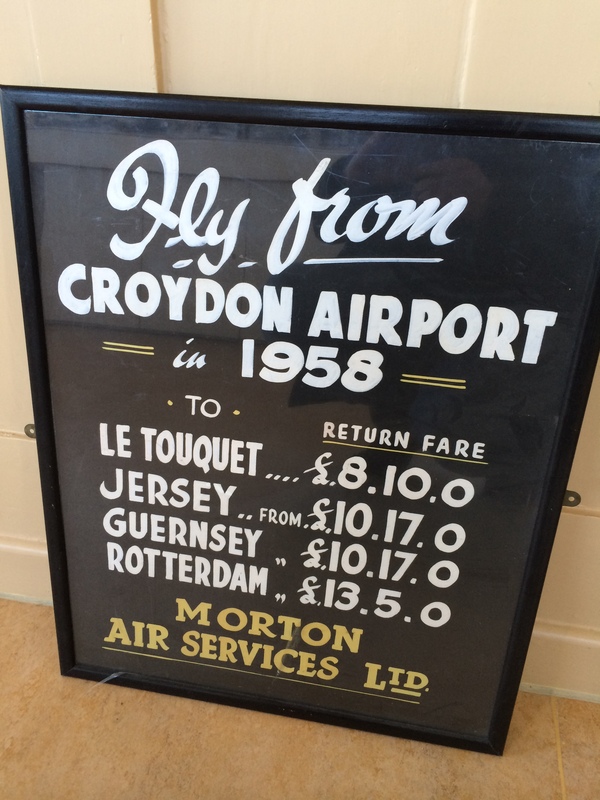 Appropriately, it was a Geoffrey Last that captained the airport’s last flight – a service to Rotterdam – on 30th September 1959. That was the end of 44 years of aviation history. The terminal building itself lay derelict until 1991 when work began to turn it into a business centre, with individual offices let out to numerous firms. 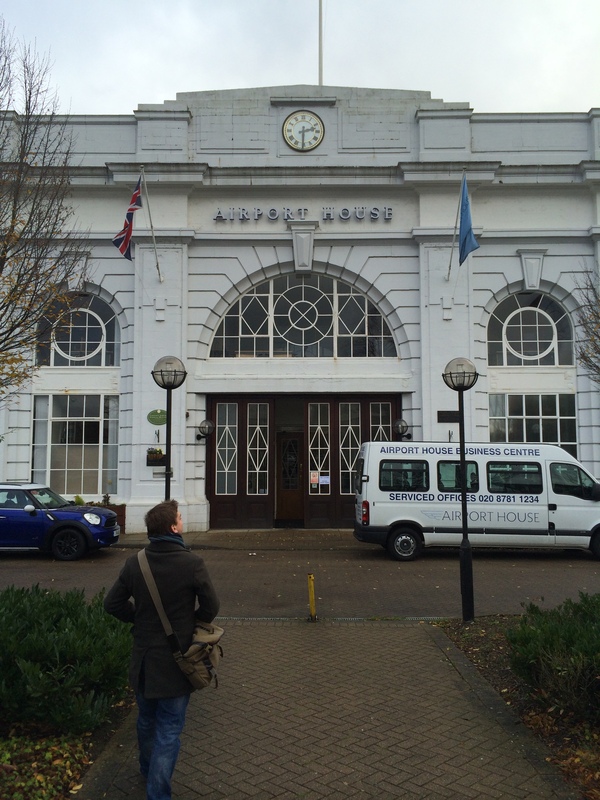 But it’s wonderful that the character of the Croydon Aerodrome’s lavish entrance hall – now called Airport House – remains and that there are so many enthusiastic volunteers who are bursting to share its story with visitors. 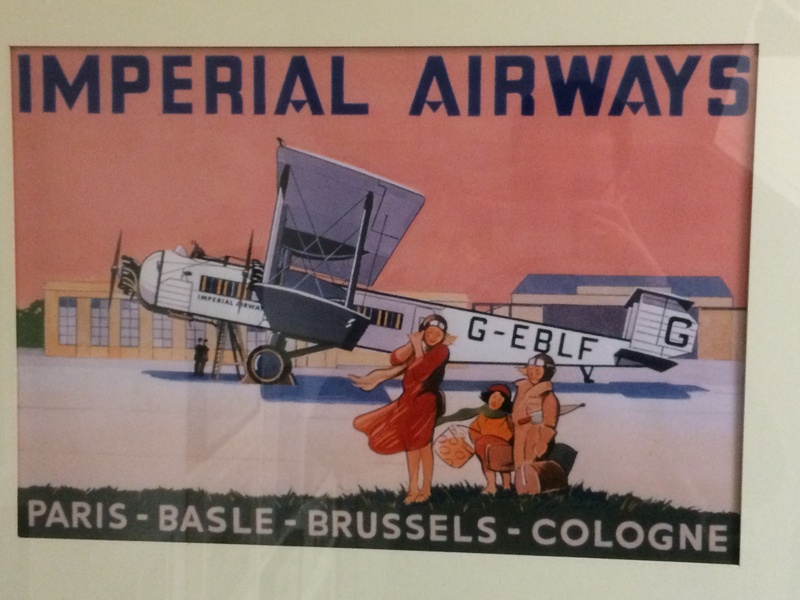 Croydon Airport Visitor Centre is open on the first Sunday of the month from 11am to 4pm. For more information click here. It was also important in some of the pioneering flights in the early days of aviation such as the multi-talented ‘Lady Icarus’ who flew from Cape Town to there in 1928, which I covered in passing in a blog piece a few weeks ago.